PART NUMBERACTUATOR MOTOR : 03L129086A. VW GOLF JETTA SEAT IBIZA AUDI A1 A3 A4 SKODA OCTAVIA YETI CAY 1.6 TDI. HERE IS FOR SALE INLET MANIFOLD & ACTUATOR MOTOR. PART NUMBER : INLET MANIFOLD: 03L129711. GENUINE 2008-2012 VW SKODA 1.6 TDI. THIS WILL FIT OTHER VW SKODA SEAT AUDI MODELS. 2010 SKODA OCTAVIA. INLET MANIFOLD & ACTUATOR. ITEM MUST NOT HAVE BEEN USED. GEARBOX CODE :LHW. ENGINE SPECS :16 VALVES - 4 CYLINDERS - 105 BHP. Manufacturer Part Number(s) 108452S10 / 780799108 / 8506406 / 857079101 / 0280751014 / 780474201. BMW 320D F30 2014 2.0 Diesel 161Bhp. Year 2014 ( F30 ). Intake Inlet Manifold. Product Intake/ Inlet Manifold. The warranty will only cover parts and does not cover any labour or associated costs. 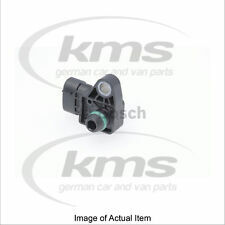 Vauxhall Part Number 93171176 55206797. Zafira B 2005 with Z19DTL or Z19DT or Z19DTH engine code. Astra G & Zafira A 1998-2004 with Y20DTH engine code from Chassis Number 32000001 or 35000001 or 36000001 or 38000001 or 3B000001 or 3H000001 or 4G000001 onwards. Vauxhall Part Number: 55568175. Mokka Mk I ( MPV 2013 ) - Fits Engine Codes A14NET, B14NET, and A17DTS Only. Astra J Mk VI ( Hatchback, Estate, Saloon 2010-2015 ) - Fits Engine Codes A13DTE, A14NEL, B14NEL, A14NET, B14NET, A17DTC, A17DYE, A17DTF, A17DTN, A17DTS, A20DTH, Y20DTJ, and Z20DTJ Only. SAAB CLASSIC 900 16 valve PLUG IGNITION LEAD SET 8817314. Classic 900 16 Valve 1979-1993. BMW INTAKE MANIFOLD ADJUSTER UNIT, DISA VALVE. E46, E39 E60 Z3 Z4 X3 with M54 Engines 2.2 and 2.5 only. Will fit BMW models wit M54 engine from 2001 - 2006. BMW Part number 7502269. VAUXHALL CORSA D 1.2 16V Z12XEP INLET INTAKE MANIFOLD 0280600063. Condition is Used. Dispatched with Royal Mail 1st Class. VAUXHALL CORSA C 1.4 16V TWIN PORT 2006 INTAKE MANIFOLD WITH PART NUMBER BOSCH 0280600069. We are located at Autoline Motors Ltd, Froghall Stoke on Trent. Genuine used BOSCH Intake Manifold Pressure Sensor 0280101001. Condition is Used. Dispatched with Other Courier (3 to 5 days). 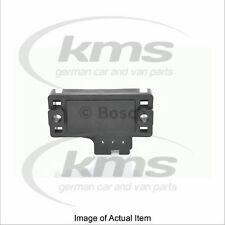 Vauxhall Part Number 55219294 93190052. Agila A 2000-2008 with Z13DT engine code. Agila B 2008 with Z13DTJ engine code. Tigra B 2004 with Z13DT engine code. 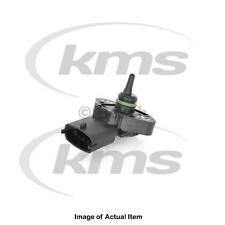 Vauxhall 1.3 Diesel Vacuum Pressure Sensor - on Inlet Manifold - Bosch. VAUXHALL CORSA D 1.4 PETROL INLET INTAKE MANIFOLD. Part: Injection System Valves. Expert Support. We will guide you through the process to make everything as easy as possible. We pride ourselves in being the Car Parts Experts, with our team collectively having over 250 years of experience in the automotive sector, and our passion for all things automotive has helped us build a product range to suit every possible need you will have for your car. Corsa B 93-00 X12XE 1.2 Inlet Manifold GM 90570969 Bosh 0280620004 *FREEPOST*. CITROEN C4 VTR 1.6 PETROL 2006 MODEL. INLET MANIFOLD WITH MAP SENSOR. T.B (BAY 8). AJ SPARES is a large independent Vehicle Dismantlers. South Yorkshire. The Blue Containers. Peugeot 307 inlet manifold Bosch throttle housing MAP sensor off 1.6 2005 year 5dr. Part no. 0 280 750 085 Bosch Throttle. Part Number : 0281002655. The Bosch Group is a leading global supplier of technology and services. If its sales and service partners are included, then Bosch is represented in roughly 150 countries. From Fiat Coupe 1999 20VT working well tested vehicle ran well with no problems. Free UK mainland postage. It is always better to check if possible. PART NUMBER 0280600048 / 55353615 / JB. WE WOULD LIKE TO SORT OUT ANY PROBLEMS QUICKLY. OS = DRIVERS SIDE = RIGHT. NS = PASSENGERS SIDE = LEFT. FOR RIGHT HAND DRIVE VEHICLES. PART NUMBER 0280600032 / 24420487. VAUXHALL ASTRA 2006 MK5 1.4 16V INLET INTAKE MANIFOLD. OS = DRIVERS SIDE = RIGHT. NS = PASSENGERS SIDE = LEFT. FOR RIGHT HAND DRIVE VEHICLES. IF PARTS COMPATIBILITY IS LISTED THEN IT IS ONLY TO BE USED AS A GUIDE. PART NUMBER 0280600063. IF PARTS COMPATIBILITY IS LISTED THEN IT IS ONLY TO BE USED AS A GUIDE. IF YOU ARE LOCATED IN THE. WE WOULD LIKE TO SORT OUT ANY PROBLEMS QUICKLY. OS = DRIVERS SIDE = RIGHT. NS = PASSENGERS SIDE = LEFT. Heater Motors. Fan Couplings & Magnets. Belt Tensioner Wheels & Bkts. Suspension Ball Joints. Any claims after 24 hours cannot be accepted. Wheel Bearing Kits. Rear Lights. Front Exhausts Cats. PART NUMBER 0280600063. BARE ,NO OTHER COMPONENTS. Belt Tensioner Wheels & Bkts. Suspension Ball Joints. Sender Unit. Rear Lights. Front Exhausts Cats. Estimates can be provided beforehand but prices may differ upon ordering. OE Part Number (or Equivalent). Removed from very good working example 156 pre-facelift. Sold as seen. ENGINE CODE:FHZ. FUEL TYPE:Diesel. AXLE STYLE:Front Wheel Drive. SCRATCHES, SCUFF MARKS ALL OVER & NEED A GOOD CLEAN. IRELAND AND CHANNEL. ARE ORDERING THE RIGHT PART. The Warranty is void if any part supplied has been tampered with any way. 2008 VAUXHALL CORSA D 1.2 PETROL. AIR INTAKE INLET MANIFOLD. Part Number : 0281002244. The Bosch Group is a leading global supplier of technology and services. If its sales and service partners are included, then Bosch is represented in roughly 150 countries. 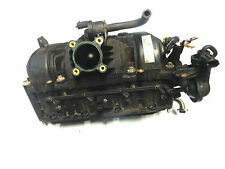 ALFA 147 1.6 16V TWINSPARK PLASTIC INLET MANIFOLD WITH PART NUMBER. CHEERS NEIL. ALL WORK CARRIED OUT ON ALFAS INCLUDING DIAGNOSTIC WORK AT COMPETITIVE PRICES. CALL 01706 228342. Corsa D inlet manifold in good working order. Belt Tensioner Wheels & Bkts. Suspension Ball Joints. Sender Unit. Rear Lights. Front Exhausts Cats. Temperature range to [°C]: 125. Temperature range from [°C]: 40. Estimates can be provided beforehand but prices may differ upon ordering. Part Number: 0261230099. Genuine Honda Jazz MK2 1.4 Map Sensor Air Intake Manifold. Pictures are taken for the actual item. Condition:Used (Very Good).